Established in 1996 by Denis Cosgrove, “Landscape Surgery” is the regular meeting for members of the Social, Cultural and Historical Geography research group (SCHG) of the Department of Geography at Royal Holloway, University of London. Focused on social, cultural, and historical geography, the SCHG is a vibrant group of academic staff (c. 20), PhD students (c. 40) and taught master’s-degree students on the MA in Cultural Geography (Research). SCHG’s PhD students take a particular role in leading Landscape Surgery’s conversations. Sessions range across themes of place and landscape, mobilities of people, ideas and things, creative and collaborative geographies, collection and curation, geographical imaginations, material geographies, urban cultures, transnationality, diaspora, and multiculturalism, among much else. An indicative list of current “Surgeons”’ PhD projects can be found here. Landscape Surgery meetings include updates on members’ activities, discussions of work in progress, workshops with invited external speakers, and ‘helpful’ sessions focusing on various sorts of research training. In addition, group members run reading groups (such as the Historical Geography Reading Group), subject-specific workshops, and occasional cultural excursions. Members of Landscape Surgery are also involved in a wide variety of interdisciplinary and outreach activities that bring the work of social, cultural, and historical geography at Royal Holloway to the attention of wider audiences. These include the award-winning PASSENGERFILMS—a not-for-profit film society that engages London’s film-going public in a ‘car-crash of cinema and geography’—and the Royal Holloway Centre for the GeoHumanities, an interdisciplinary initiative cultivating links between arts and humanities scholars and practitioners, geographers, and the cultural, creative, and heritage sectors. 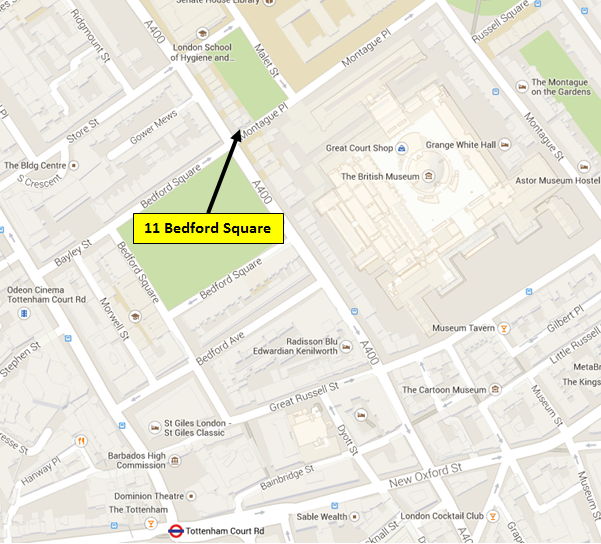 Meeting at Bedford Square, in the heart of Bloomsbury, Landscape Surgery regularly welcomes participants—both domestic and international—from across disciplines to converse on cultural geography topics. Landscape Surgery meets at Royal Holloway’s London base: 11 Bedford Square (at the corner of Gower Street and Montague Place). Regrettably, due to restrictions on space, participation in Landscape Surgery events is by invitation only. Nice post on landscape surgery.